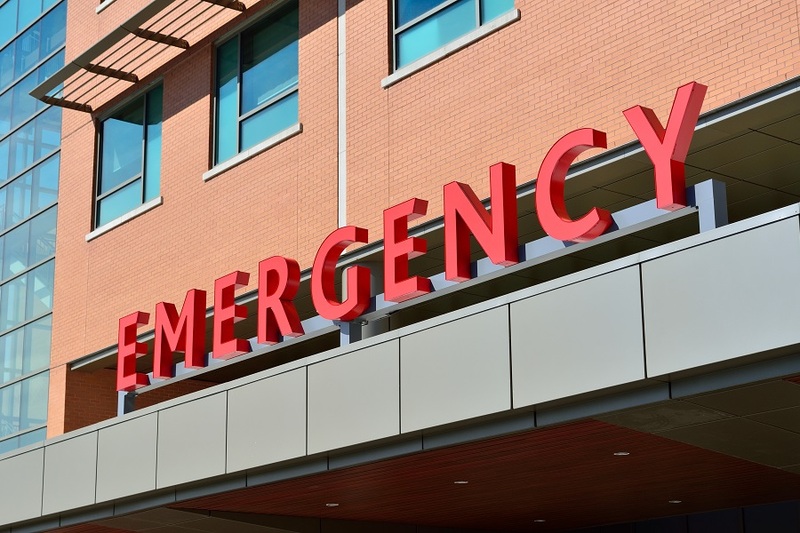 If you’ve been in a car accident, you may be wondering if you need to seek medical attention. While there is no one answer to this, it is always better to be safe than sorry. Below, we outline some common car accident injuries, some important reasons to seek out medical attention and some general advice about medical treatment after a car accident. 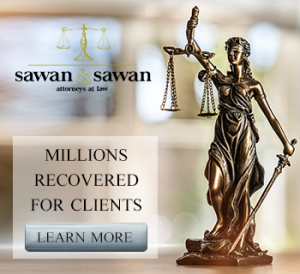 If you or a loved one have been involved in a car accident and need legal assistance, call the car accident attorneys of Sawan & Sawan today at 1-866-INJURY-0 to schedule a free consultation. If you’ve been in a car accident, you know how startling the experience can be. Often times after a car accident, you will find that adrenaline has kicked in – leaving you with a rapidly beating heart and shaking hands. This is the bodies normal reaction to stress – though you should be aware that it can mask more serious underlying injuries. After the stress of a car accident, it is typical to experience a spike in this hormone. Stress-induced analgesia occurs when an injured person can ignore the pain of an injury because of other stressful situations going on at the same time. Immediately following an injury accident, A stress hormone called noradrenaline will flood the brain, blocking its ability to produce pain. Do I Really Need to See a Doctor After a Minor Car Accident? No matter whether your car accident was a minor fender bender, or a major car crash – due to the adrenaline of the event you may be feeling fine. However, it’s critical to remember that even a small collision can lead to serious injuries. You may not realize that you’ve been hurt at first – so it’s always better safe than sorry. Also, it’s important to remember that a number of injuries – particularly soft tissue injuries – manifest themselves much slower after an accident. You may think that you are fine, only to realize in days or weeks that there is lingering pain from the accident. As a result, diagnostic testing at the early stages can catch these issues and allow your medical team the opportunity to treat it from the outset. Lastly, often a medical professional will recommend physical therapy to assist with recovery after a car accident. The sooner you meet with a doctor, the sooner they can determine if this course of action makes sense for your injury. As physical therapy can take weeks or months, it is in your interest to begin this process as soon as practicable after a car accident. What Types of Injuries are Common After a Car Accident? It’s common for a car accident victim to incur these types of injuries due to the impact from the collision. While your body is restrained by a seatbelt, your head is free to move upon impact. As a result, we often see injuries to the head and neck. The spine is designed to handle a relatively large amount of downward gravitational force – but notoriously fragile when subject to force from the rear, side or front (such as that in a car accident). We frequently see victims of car accidents suffer from back pain shortly after a car accident due to this. Soft Tissue injuries are a result of trauma caused to the tissue of the body – usually presenting as tenderness and soreness around joints, spinal columns and the like. These injuries can be notoriously difficult to diagnose – and even harder to treat. Given the seriousness of many injuries that can occur after a car accident – it is important that you seek out qualified medical assistance as soon as practicably possible after the incident. Failing to do so is not only bad for your health – it can have an impact on your personal injury claim as well. If the car accident wasn’t your fault, you will naturally want to file a claim with the other driver’s insurance company. This process can be difficult because insurance companies are more interested in protecting their interests than yours. As a result, an insurance adjuster handling your case looks for any way to minimize the amount of money they have to pay to you. One age old tactic is to challenge the time frame between the incident and the medical treatment sought. As a result, time is of the essence. If you’re asking yourself questions like, “Should I Go to the Hospital After a Car Accident?” – you probably have a ton more questions. With over 35 years of combined legal experience, our family of lawyers is here to help. Our practice focuses on your case, so you can focus on what is most important – your medical treatment. Our team of lawyers can also help organize and coordinate your medical care, so that the insurance company is aware of everything that has occurred. This communication is vital to receiving a full and fair settlement – and gives you peace of mind by leaving the matter of dealing with the insurance company to us. Sawan & Sawan is an Ohio car accident law firm with Ohio car accident attorneys licensed to practice law in the State of Ohio. If you were injured in a car accident in Ohio and would like to speak further about your specific legal matter, call Sawan & Sawan today at 419-900-0955 to schedule a free consultation. The car accident attorneys at Sawan & Sawan serve the following cities in Franklin County, Ohio: Bexley, Ohio; Canal Winchester, Ohio; Columbus, Ohio; Dublin, Ohio; Gahanna, Ohio; Grandview Heights, Ohio; Grove City, Ohio; Groveport, Ohio; Hilliard, Ohio; New Albany, Ohio; Pickerington, Ohio; Reynoldsburg, Ohio; Upper Arlington, Ohio; Westerville, Ohio; Whitehall, Ohio; Worthington, Ohio. The car accident lawyers at Sawan & Sawan serve the following cities in Lucas County, Ohio: Maumee, Ohio; Oregon, Ohio; Sylvania, Ohio; Toledo, Ohio; Waterville, Ohio.